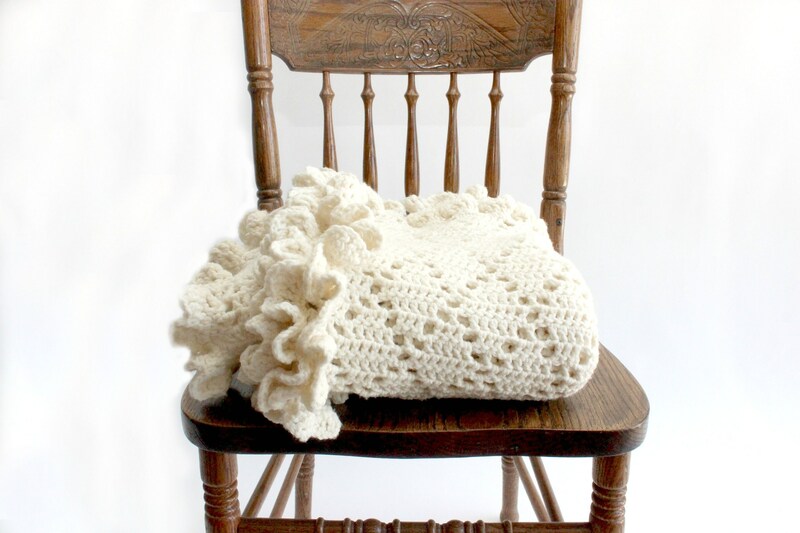 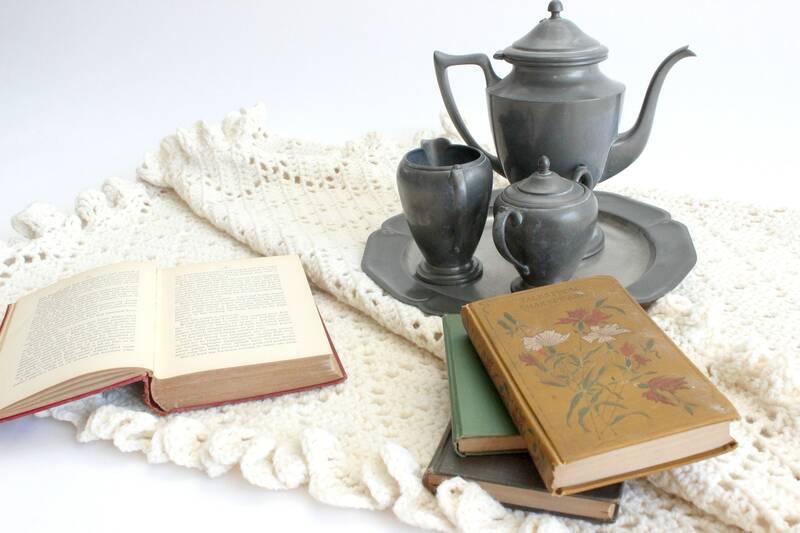 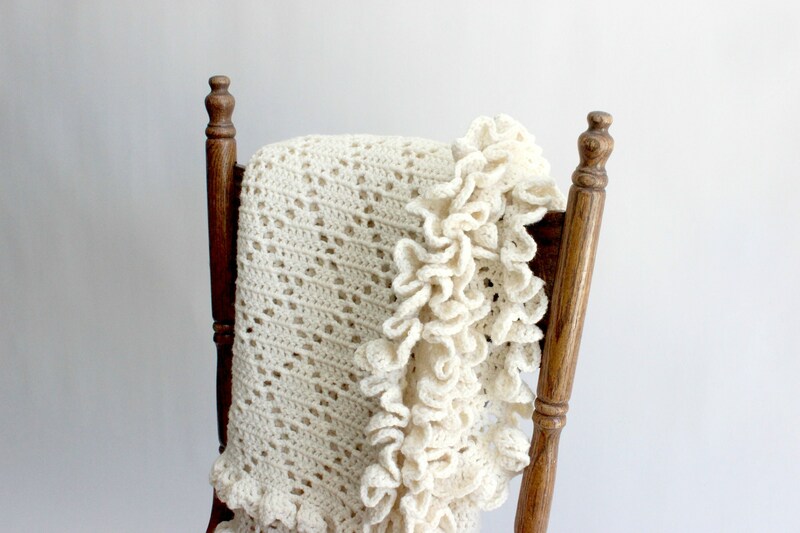 Lovely hand knit wool throw blanket. 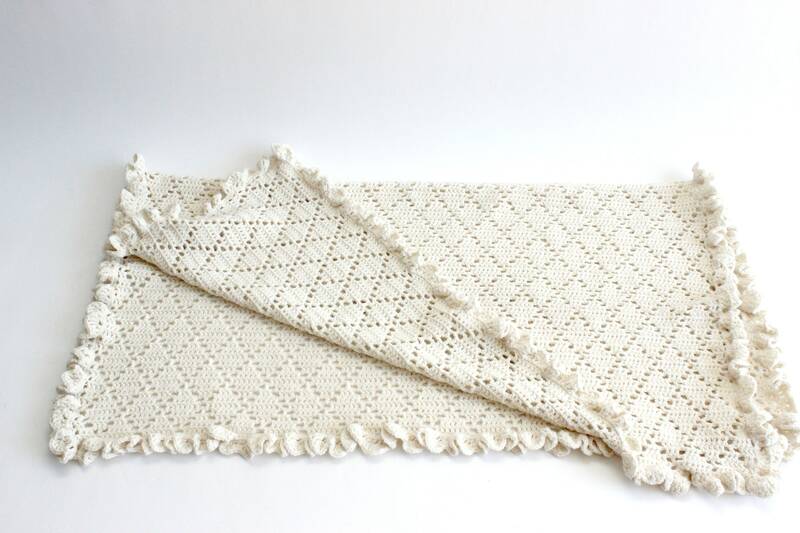 Cream colored blanket with a criss-crossed pattern and a unique gathered/scalloped trim around all four sides. 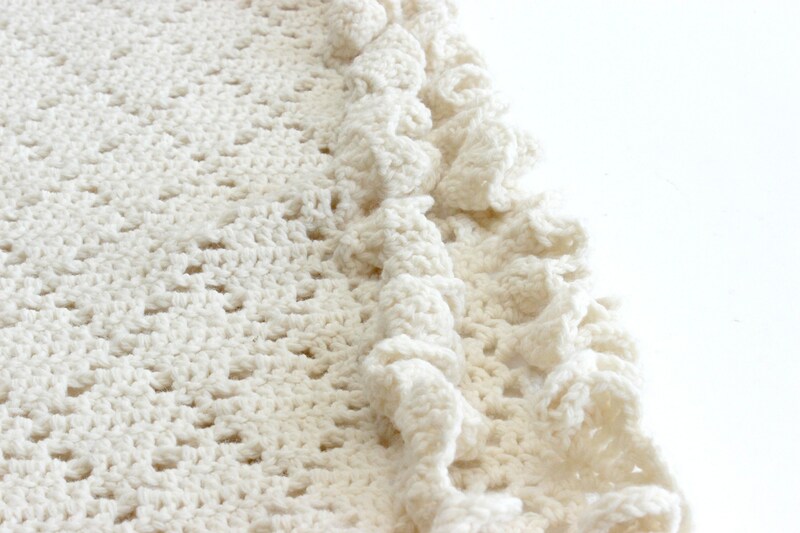 This is a nice thick blanket perfect for laying over the end of a bed! 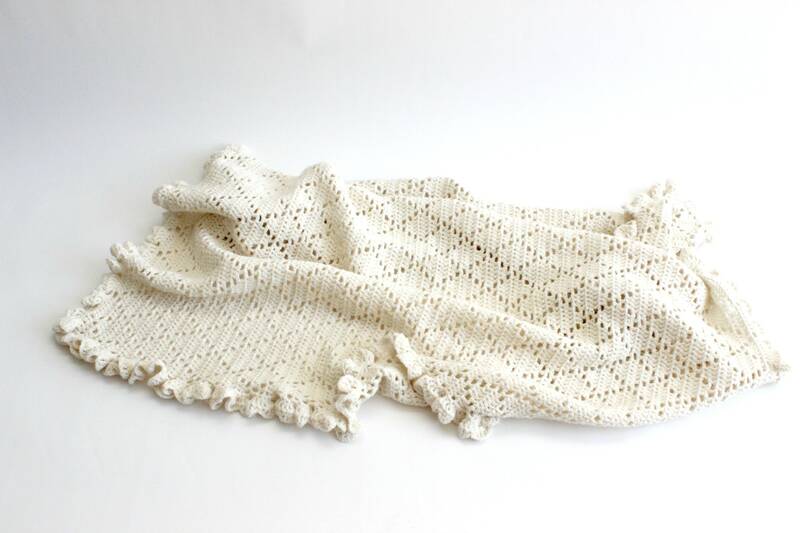 Rectangular blanket measures 49 inches long and 46 inches wide.